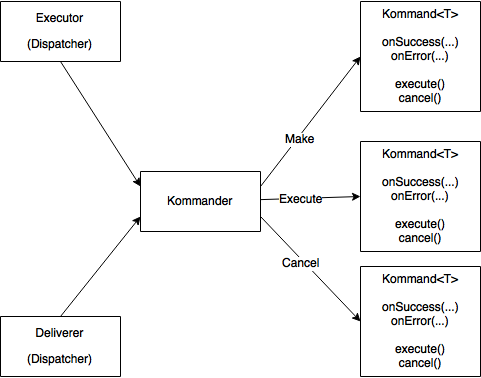 Kommander is a Swift library to manage the task execution in different threads. Through the definition a simple but powerful concept, Kommand. Inspired on the Java library Kommander from Wokdsem. // error is MyError type. Kommander is available under the MIT license. See the LICENSE file for more info. [x] Set kommand error closure specifying Error type. [x] Ready for Swift 4.2. [x] Result and error Kommand helpers. [x] Ready for Swift 4.1. [x] Canceled (US English) Kommand state becomes cancelled (British English).